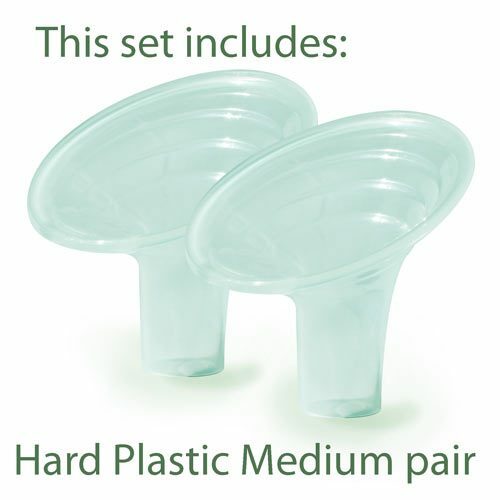 Set includes one pair each of hard plastic Medium, Large and Extra Large shields. 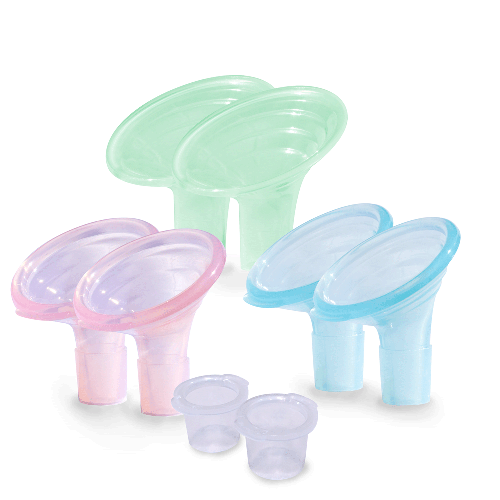 This set does not include silicone flanges. 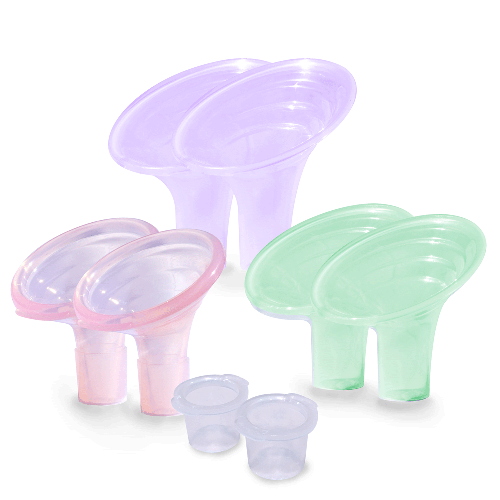 Set includes one pair each of Medium, Large, and X-Large shields. 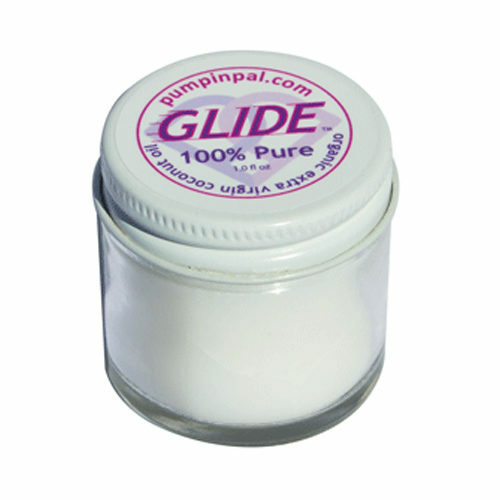 The Medium, Large, and X-Large are not silicone, they are hard plastic. Pumpin’ Pal shields work with Ameda, Medela, Spectra 24mm, Bailey, Lansinoh, Rumble Tuff, Avent Isis, Motif Duo, 25mm Maymom one piece. 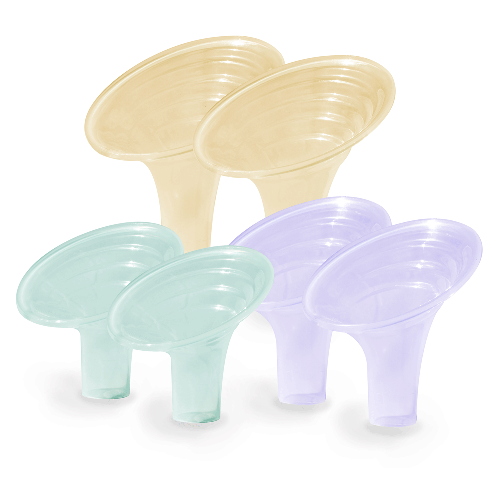 Note for Ameda™ users: All of our Super Shields fit Ameda Standard (25.0mm). Sorry, they do not fit the First Years miPump, Avent Comfort Pump.